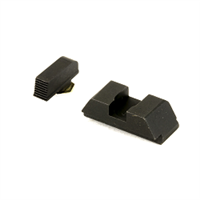 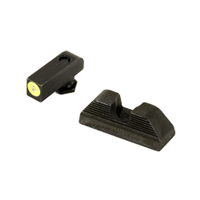 Sight set with serrated front and flat rear for Glocks. Sight set with fiber front and flat black steel rear for Glocks. 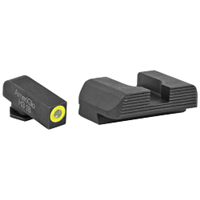 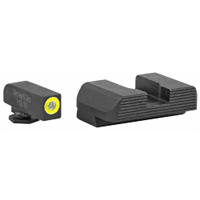 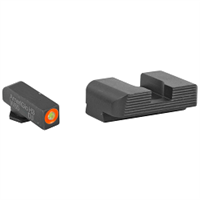 Suppressor height sight sets for all Glock Models excluding 42,43. 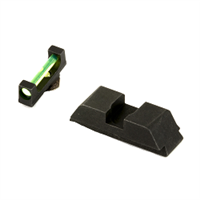 Sight set with green tritium lamp, luminescent green outline front and serrated rear for Glocks. 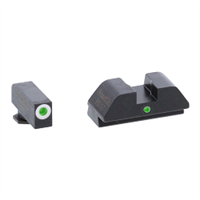 Sight set with green tritium lamp, luminescent green outline front and round notch serrated steel rear for Glocks. 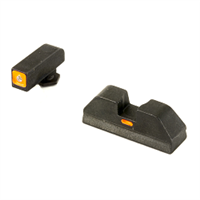 Sight set with green tritium lamp, orange outline front and serrated rear for Glocks. 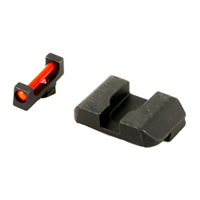 Sight set with green tritium lamp, square outline front and painted (non tritium) bar rear for Glocks. 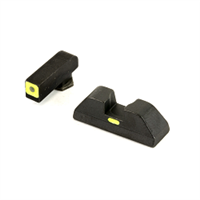 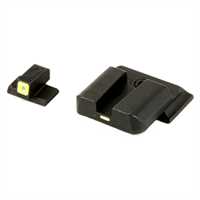 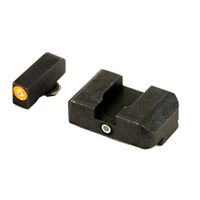 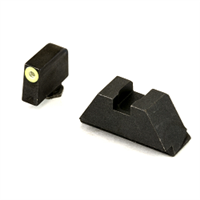 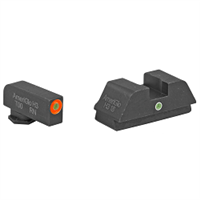 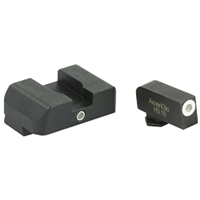 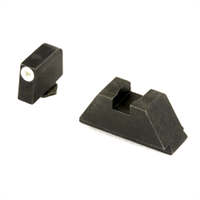 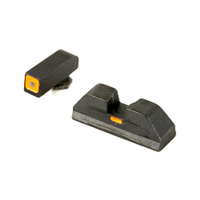 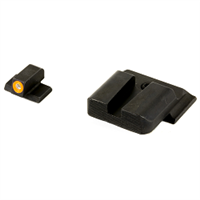 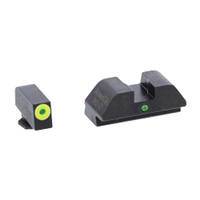 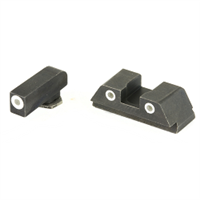 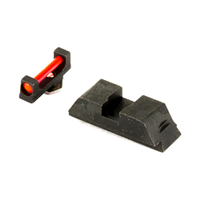 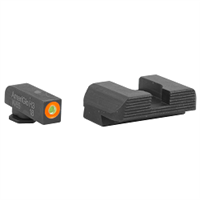 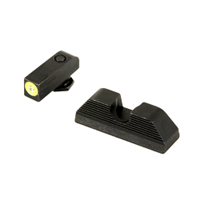 Sight set with green tritium, luminescent green square outline front and painted line rear for Smith & Wesson M&P Models. Sight set with green tritium lamp front, one green tritium lamp rear (centered below notch) for Glocks.